The PSP Hydro project, carried out in the framework of the Energising Development (EnDev) Rwanda programme, has been granted an increase in funds to scale up. 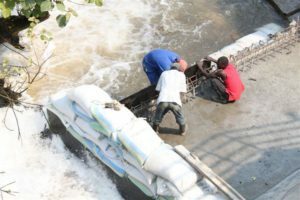 Under its new phase (2013-17), 9 Micro-Hydro Power plants will be tendered out to Small and Medium-Sized Enterprises by the national utility EWSA. As during the first two phases, the PSP Hydro project will support these firms through consulting, training as well as limited co-financing. The tendered projects will provide access to electricity to about 110.000 people. Proposal on minimum content of reconnaissance and feasibility studies. Establish a tender evaluation matrix including most crucial aspects: general capability of the bidder (team. Local content etc. ), technical aspects (electricity production, risk assessment…), planning and monitoring, strategies for O&M, strategies to obtain financing, financial and economic aspects. Input on specific financial and economic evaluation. Provision of expert advice during evaluation of proposals. Results: Increased professionalism in tendering process and tender evaluation to guarantee best bidder selection and thus successful implementation and operation of the hydro projects.